A professional art school course for both students and amateurs alike. 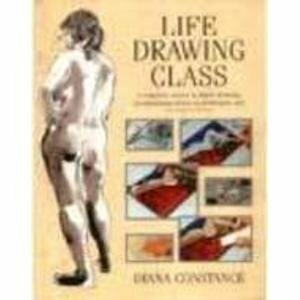 The book begins with the basics of the figure and guides the reader through the complexities of anatomy, proportion and perspective with simple instructions to provide essential figure-drawing skills. It then goes through a series of lessons on equipment and materials, sketches and movement, coping with light and achieving a three-dimensional effect. The third section of lessons takes the reader through from their sketches to final drawings using various methods and styles, including the quill and ink wash favoured by Rembrandt to the contemporary style of a mono-print. There are examples of the work of leading artists such as Henry Moore, Michelangelo and Degas and lessons on mounting, preserving and framing finished work. All lessons are clearly written and have full step-by-step instructions. A professional art school course designed to be followed at home, beginning with the basics of figure, and guiding the reader through all the aspects and complexities of the art.